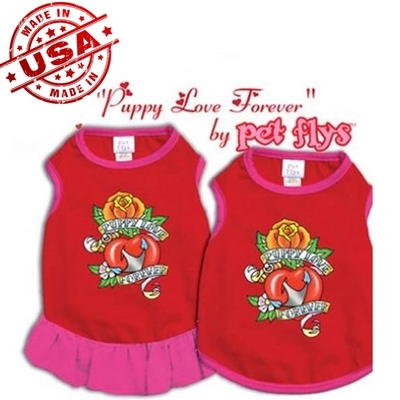 The Puppy Love Forever Dog Tank is great for Valentines Day or everyday wear. 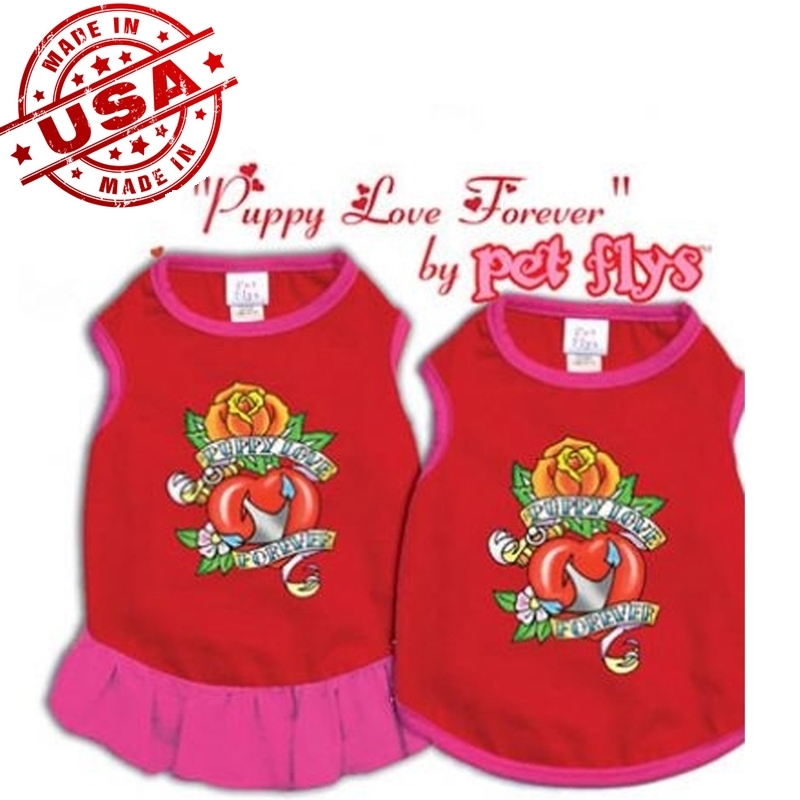 Made in the U.S.A. Puppy Love Forever Dog Dress available and sold separately. Wash garment in cool water and tumble dry on low heat. Sizes: XSmall (approx up to 3lbs. ), Small (approx 3-5lbs. ), Medium (approx 5-10lbs. ), Large (approx 10-16lbs.) and XLarge (approx 16-24lbs. ).